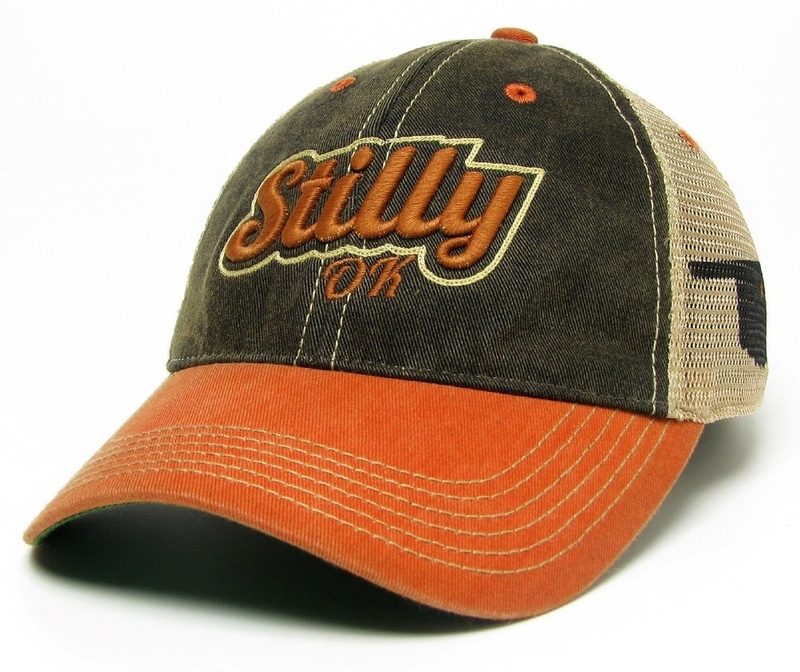 This Chris' EXCLUSIVE design by Legacy features STILLY on the front panel with OK below and the State of OK on the side mesh panel. The new style for 2017 features an orange bill. This Old Favorite style hat is adjustable with a plastic strap.